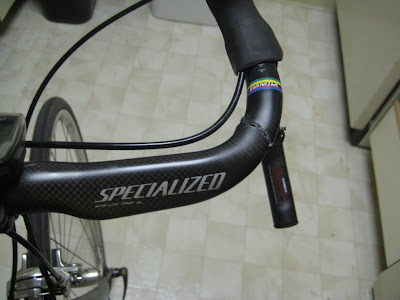 Ted just sent in these photos of his handle bars. No crashes, just out of the saddle cranking and they broke. Lame. Kinda makes you think, doesn't it? This kind of break could have been started when the bike fell over! 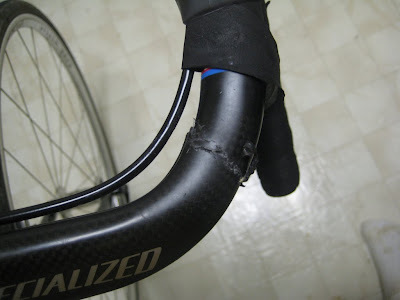 Any time the bike falls over,even in the bedroom onto the carpet, the carbon bars can be weakened.